Mass of Christian Burial will be 11 am, Friday, Sept. 21, 2018 at St. Thomas Aquinas Catholic Church, 920 Holley Ave., St. Paul Park. Visitation will be 5-8 pm Thurs., Sept., 20, 2018 at Kok Funeral Home, 1201 Portland Ave., St. Paul Park and also on hour prior to the service at the church. Interment Newport Cemetery. 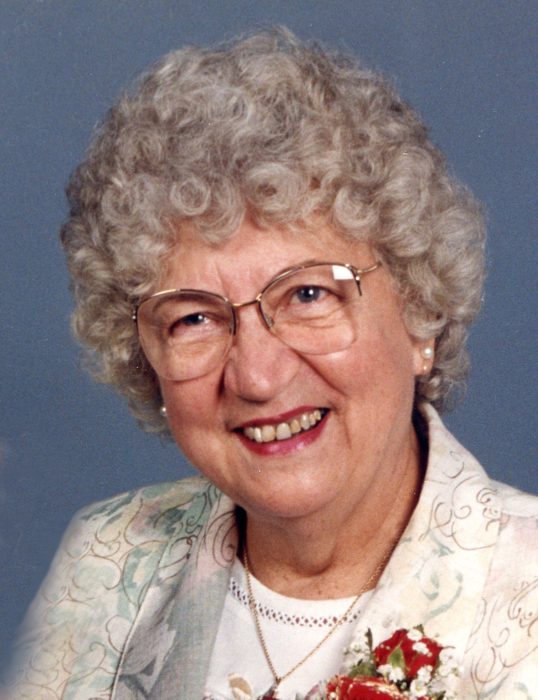 Dorothy Irene Hanner was born April 1, 1926 in St. Paul Park to Nicholas and Nora (Bredeson) Stotzheim. She graduated from Park High School in 1944 and the following year, she was married to Lee “Bud” Hanner and they enjoyed 65 years together. They lived in St. Paul Park where she enjoyed raising her three children. She was a lifelong resident of St. Paul Park and Newport and was a member of the VFW Auxiliary and St. Thomas Aquinas Catholic Church. Dorothy was an excellent bowler and served as Member of the Women’s International Bowling Congress for many years. They looked forward to spending time together and enjoyed many family boating outings on the river and through the years Dorothy and Bud travelled extensively across the world. Dorothy is survived by her children Nicholas (Debra) Hanner, Marjorie Dworshak, Georgia (Dennis) Woltjer; grandchildren Shannon Hanner, Marilee (Mark) Erickson and their children Anna and Heidi, Nicole Hanner, Jeff (Diana) Zylka and their children Austyn, Kayla and Tyler, Jennifer Zylka and her children Lucas and Riley, Michelle Zylka and her children Tristen and Alecyea, Stephanie Gaddis (and significant other Dan Eckel), Christine (Brinton) Hallum and their children Jayson, Faith and Maya, Kevin Dworshak, Laura Mary (Chris) Fern and their children Travis, Jack (Sky), Katie, Tyler, Bryce and Peyton, Tim (Linda) Woltjer, Toni (Adam) Jensen and their children Taylor, Alexius and Gregory, Matt (Rachel) Woltjer, Joe (Spencer) Mertes, Laura Lee Mertes, Teresa (Mclain) Morawski and their children Bruin, Briar and Bauer as well as great-great grandchildren Coden, Kailee and Jack Fitzsimmons; numerous nieces, nephews and extended family. She is preceded in death by her husband Lee “Bud”; grandson Daniel Dworshak; parents Nicholas and Nora Stotzheim; sisters Florence Wielinski, Gladys Vosen, Carol Swanson and Bernice Donath; brothers Chuck, Harry and John Stotzheim.